Bobbles are a popular way to add three-dimensional texture to a knit garment. They're particularly popular on Aran-style sweaters but can also be found on the hemlines of plain sweaters or as decoration on other knit items. A bobble is basically a collection of stitches formed by increasing several times into one stitch, turning the work, purling back, turning the work again and decreasing those same stitches back to one before continuing the row. Trinity stitch is sometimes described as a bobble, but that's not technically correct because it is a series of increases in one stitch with decreases taken up later in the same row. Bobbles can be any sized anywhere from three stitches to nine stitches, but five is the most common. If your instructions don't tell you how big to make the bobble, go with five stitches. Looking at the instructions for knitting a bobble, if your pattern even has them, can be a bit intimidating, but it's actually easier than it looks and adds a nice texture to your knits. Knit 1, yarn over, knit 1, yarn over, knit 1 in the same stitch. Knit in the front, back, front, back, front of the same stitch. Knit, purl, knit, purl, knit in the same stitch. Each of these will make a bobble that looks slightly different, but as long as you use the same method throughout a project, it makes no difference which one you use. Bobbles are usually worked in stockinette stitch starting on the knit side. Work to where your bobble needs to be and increase in one of the methods described above until you have as many stitches for your bobble as you need. Turn the work over as if you were at the end of the row and purl back across those five (or however many you have) stitches. Turn the work again and decrease those stitches back down to one. 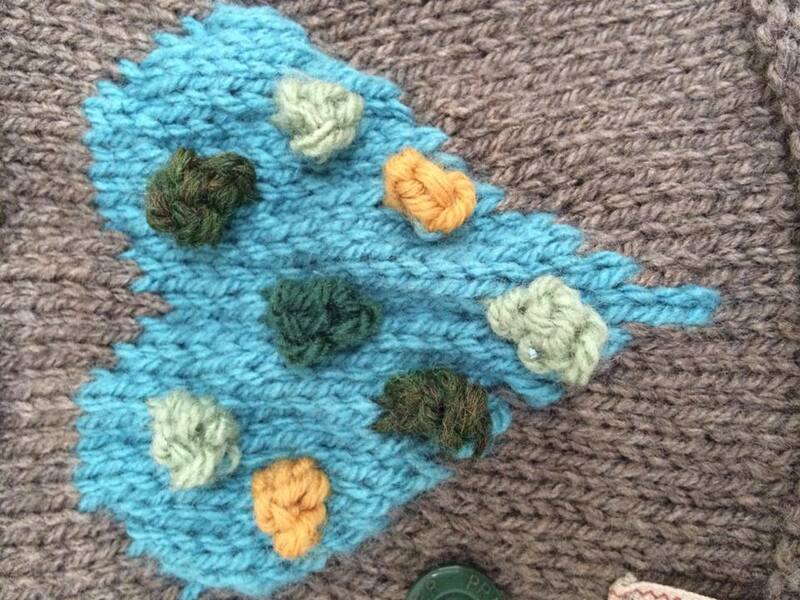 An easy way to do this is to knit two together twice, then knit the last stitch (assuming you have five) and then slip the first two stitches over the last stitch, leaving one stitch. Work the rest of the row as normal. Alternatively, you can decrease the stitches more slowly, by, perhaps, knitting two together twice as above and knitting the third stitch, turning the work again, slipping 1, knitting two together and passing the slipped stitch over. Then work the rest of the row as normal. The nature of the bobble will cause a hole to form in your fabric. If you purl the stitches before and after the bobble stitch a little more tightly than normal on the next row, that will help close it up. You can also try twisting the bobble stitch or purling through the back loop, on the next row to close the holes.